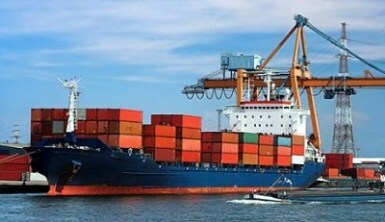 The Nigerian maritime industry may be attracting investments worth USD30 billion (about N10.8 trillion) in 2019 financial year. Maritim e Director-General of the Nigerian Maritime Administration and Safety Agency, NIMASA, Dr. Dakuku Peterside, who disclosed this to Vanguard Maritime Reports on the sidelines of the agency’s award night held at the Eko Hotel in Lagos last weekend, said that now is the time for Nigerian maritime industry players to position themselves to take advantage of the projected investments. He stated: “We believe that 2019 is a great year, there’s been a forecast that there is going to be about $30billion to spend in the Nigerian maritime industry and it is Nigerian investors that would hope to take advantage of this to grow wealth, create opportunities for our people. “The only way we can appreciate them is to publicly acknowledge them like this and encourage them to do more and assure them that we are standing with them to achieve more goals. “This is an opportunity to encourage them to do more, to continue to weather the storm and achieve more results.” ALSO READ: Operators, stakeholders list woes of maritime sector Piracy summit Meanwhile, following the recent up-surge in pirate attacks on vessels and abduction of sailors on Nigeria’s territorial and coastal waters, Peterside said that NIMASA has concluded plans to host a global summit on sea piracy. He attributed the incessant pirate attacks on vessels and crew members to the attractions the huge oil and gas industry in Nigeria holds, an economy that is absent in most African countries.